St. Kitts and Nevis will join the world community in the observance of World Tourism Day 2015, under the theme “One Billion Tourists, One Billion Opportunities”Â, on Sunday September 27. 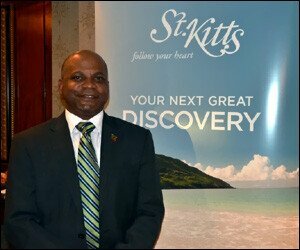 Minister Grant said that the Government of St. Kitts and Nevis through the Ministry of Tourism is dedicated to the continued development of the tourism industry. “The Ministry and by extension the Federal Government are committed to giving tourism the recognition and attention it deserves and to capitalize on every opportunity to market our destination,”Â said Minister Grant. Taking a regional approach to the observance, Hugh Riley, Secretary General and CEO of Caribbean Tourism Organization, explained the development of the tourism industry in the region. “The emergence of the travel and tourism sector in the Caribbean coincided with the move away from complete reliance on agriculture as the primary money earner,”Â said Hugh Riley, adding that the decline of a variety of products including bananas, sugar, bauxite, vanilla and other such revenue earners meant that Caribbean countries needed another means to grow their economies and tourism was a natural fit. Whether it was for the warm exotic climate coupled with the enticement for the beautiful beaches or simply for pleasure, the Caribbean, he said possessed all the attributes to become a successful destination. “The quality of life enjoyed by many Caribbean territories â€“ the sophisticated road networks, world-class healthcare, solid foreign reserves and complex educational systems is largely due to the success of the tourism industry,”Â stated Hugh Riley.